Long Lake (Longtan), or Long Lake (Longtan) Tourist Pond, is the most famous landmark in Long Lake (Longtan), Taoyuan. The pond was originally designed for irrigation. 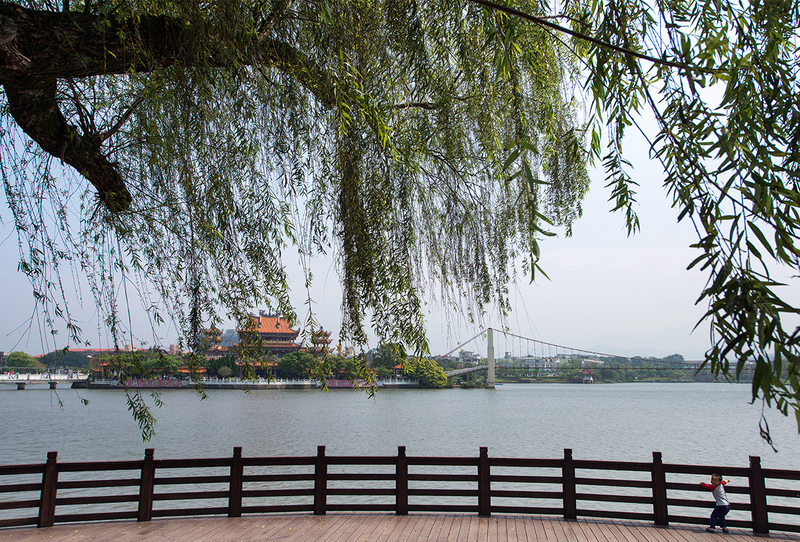 After the citizens built the majestic Nantian Palace on the small island of the pond, the view there became quite elegant. 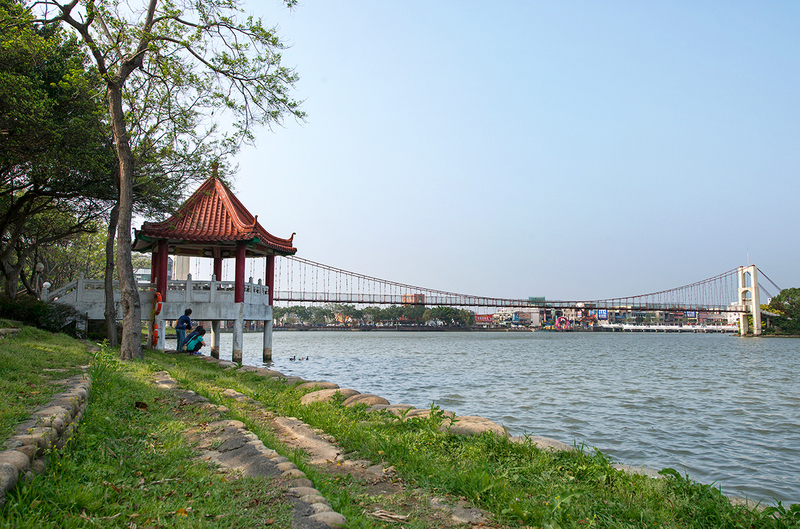 And with the complement of the Long Lake (Longtan) Tourist Suspension Bridge, the Long Lake (Longtan) Tourist Pond became a major recreation area for tourists. The most famous activity on the tourist pond is the annual dragon boat race. 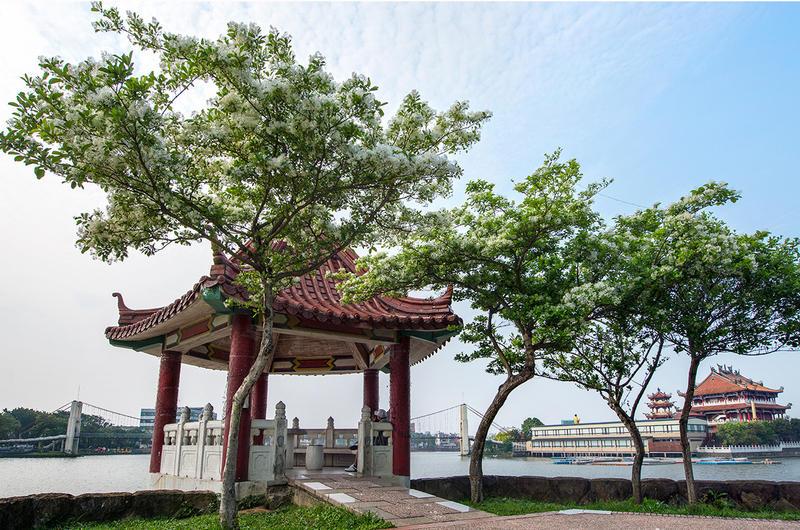 The Nantian Palace on the lake is a Taiwanese-style building. The richly ornamented building, with sculpted beams and glazed tiles, has an imposing exterior, and with the reflection of the building in the water, makes people feel as if they are in a poetic realm or a painting. 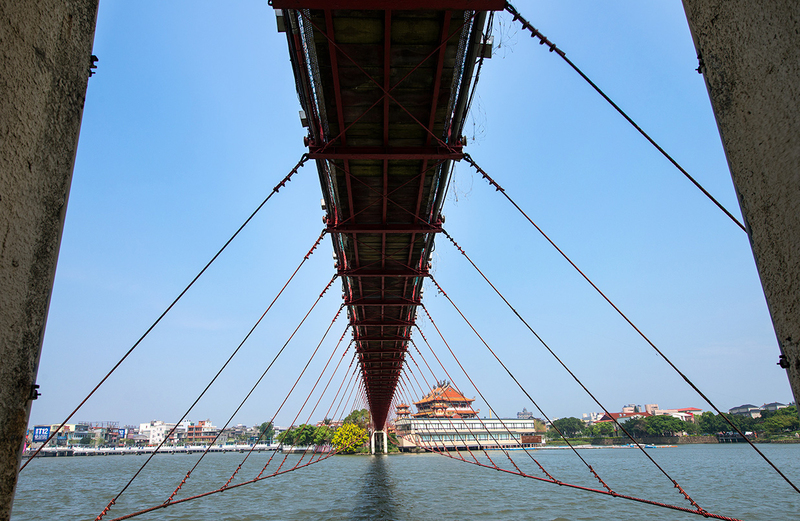 The lakeside park and the arched Zhongyu Bridge of the Tourist Pond have their own characteristics. They are made even more beautiful thanks to the lighting during the night. This is also a favorite place for dating couples. Take the train to Taoyuan or Zhongli Railway Station, continue by Taoyuan Bus to Long Lake (Longtan) stop.